Warlocks Brian Cain and Christian Day present an old world Witchcraft shop for both curious and Witch alike: for those who believe in spirits and those who summon them in graveyards at midnight; those who dance in the rain and those who command the thunder; those who pray for justice and those who stand in strength to demand it; those who believe in magic and those whose hearts beat with its fire! Whether you want a handmade candle to bless your home, herbs to mix your own magic, a real love potion, books on the arts of Witchery, a Voodoo doll made by a true practitioner, or to have a psychic reading by an authentic Salem Witch, Hex offers a cornucopia of magical wares and ritual tools, many of which are exclusive to our shops! 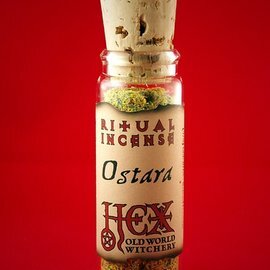 Be sure to visit Hex in Salem or New Orleans, or purchase our magical products here online! In honor of the Spring Equinox, we're celebrating fertility magic with special discounts on items meant to bring you luck, success, and maybe even a baby!